Choosing a broker to help you in your online investing means deciding what kind of broker you need. Self-service brokers — those used most by online investors — are commonly grouped into three baskets: deep discounters, discounters, and premium discounters. The full-service traditional brokerages suggest investments, analyze your portfolio, and offer estate-planning services. Double-check brokers’ fees before signing up — they change frequently. Also remember that some brokers might charge lower commissions if you pay a monthly subscription fee, meet certain balance thresholds, or hold other types of accounts in addition to the brokerage account. BUYandHOLD: For $14.99 a month, you can place as many trades as you like, or for $6.99 a month, you can place two free trades. At those prices, the trades are queued up and carried out during one of three trading sessions over the course of the day. FolioInvesting: The Basic plan lets you trade stocks for a low price of $4 as long as you’re okay if the trades aren’t executed right away, but instead, during two “windows” during the day. ShareBuilder: This site’s discounted $4 orders aren’t executed immediately, but rather, pooled and filled once a week. SogoTrade: If you plan to be a serious trader, SogoTrade lets you download software to your computer. 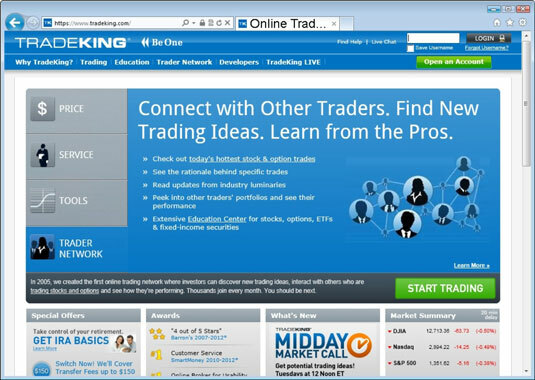 TradeKing: This broker offers you the ability to write checks against cash balances (for a fee), access to company news and research reports, and a straightforward flat-fee commission of $4.95. It’s geared largely for active investors who might exceed trading limits imposed by free offers from Zecco and want instant access to customer support on the phone. Zecco: The $0 commission is hard to beat if price is what matters most to you. Trades are free as long as you place fewer than ten trades a month and maintain an account balance of $25,000. Bank of America: Traditionally, banks have targeted the well-heeled with personal bankers who pick out investments like personal shoppers pick out ties for rich executives. 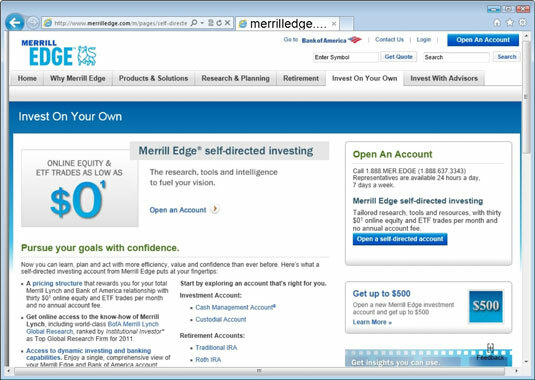 But Bank of America’s Merrill Edge unit has added self-service brokerage fees with commissions starting at $6.95. And you can get 30 free trades a month if you keep at least $25,000 with the bank in a deposit account, such as a Bank of America savings account. As your account grows, you have access to the wealth management services offered by the bank. Charles Schwab: Schwab kicked off the industry’s latest round of price cutting in early 2010 when it lowered its per-trade commission to a flat rate of $8.95 from $12.95. DittoTrade: DittoTrade takes a very communal approach toward online investing. When you sign up for the brokerage service, you can also choose to “attach” your trades to the trades of other investors. For example, if you and your friend have an account at DittoTrade, you can choose to buy or sell any stock your friend is buying and selling. You’ll receive an e-mail telling you your friend’s trade is going to be made, and you can choose to have the system carry out the trade for you, too. You can remove your “attachment” at any time. You will pay $6.95 per trade. Ditto Trade also charges a $1 a month “equities quote fee” unless you trade at least twice a month. E*TRADE: E*TRADE targets active traders with computer software such as MarketTrader, which lets you enter trades that will trigger automatically based on rules you set ahead of time. But E*TRADE offers beginners access to stock research from six providers and the ability to shift cash to a checking or high-yield savings account. Fidelity: For years, Fidelity was a premium-priced online brokerage, but that changed in early 2010 when it answered Schwab’s price cut and slashed its commission even lower than Schwab’s, to $7.95. Investors can buy the Motif, and then Motif Investing will take the money invested and invest it in a group of up to 30 stocks that are preselected as fitting the theme. Motif Investing charges a $9.95 commission to buy or sell a Motif. You can also buy and sell individual stocks for $4.95 per trade. OptionsXpress: Options trades can get mind-numbingly complicated, and some are best known by exotic names like butterflies, straddles, and strangles. OptionsXpress helps traders place these complex trades with easy-to-follow Web screens and systems to help track the profit or loss. 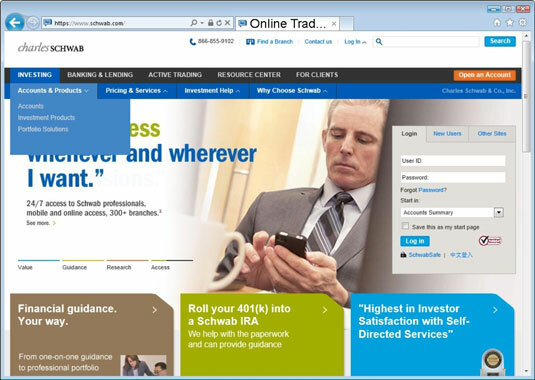 Scottrade: Its $7 commissions are low, but you still get access to branches, and it also has a separate service for active traders. TD AMERITRADE: This brokerage’s low-cost roots are eroding, as its $9.99-per-trade commission is now more than what most its major rivals charge. 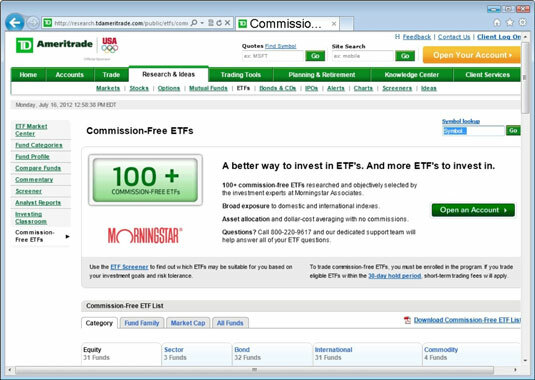 But investors who trade frequently during the day like TD AMERITRADE’s bonus PC software trading tools. TradeMonster: Its $7.50-a-trade commission is compelling, and the site offers a variety of tools to help active traders. Vanguard: The first 25 trades you make in a year are a competitive $7 if you have less than $50,000 in your account. After you trade 25 times, trades jump to $20. Wells Fargo: Wells Fargo’s self-service stock commissions start at $8.95. But if you keep at least $25,000 in your deposit accounts, you can get up to 100 free trades a year without paying the monthly service charge of $30. Wells Fargo also gives you 100 trades a year with no monthly service fee if you keep $50,000 with the bank and its brokerage. But before you get too excited about the extra services that traditional full-service brokers may provide, you also have downsides to consider, such as high cost, and potential conflicts of interest.